In order for the amplifier to work, it needs power. That’s true of all amplifiers, although some weaker ones work by taking advantage of signal found in the line. The HDX amplifier gets its power from USB cable, and it’s true, we don’t include a power adapter in the box. Why do we do that? Folks, if you’re like me you have a dozen USB power adapters lying around from older phones and accessories. We can save you a little money by not including a USB adapter. You save a little, we get a little better position in search results when people look only by price… everyone wins. 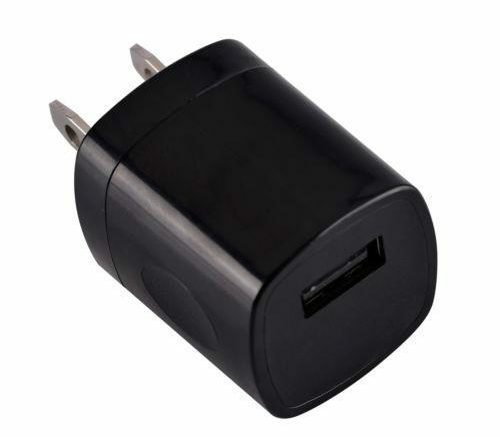 If you find yourself without a power adapter, we sell this nice little USB power supply. It looks something like Apple’s or Samsung’s, but at a price you can afford. It’s compact and clean, and will actually power any USB device that only needs 1 amp of power (in other words it won’t do squat for your iPad.) It’s certainly worth a quick “ADD TO CART” if you happen to need something like this, and the price is good enough that if you don’t already have a drawer full of ’em, you might want to consider buying a second or third one.